Learning from incidents (LFI) is a process whereby employees and organisations seek to understand any negative events that have taken place and then take actions in order to prevent similar future events (Lukic, 2013). Developing an effective process for LFI will provide an organisation with a critical tool for managing its risks. Inadequate LFI processes have been cited as contributory factors in major accidents such as the space shuttle accidents, Piper Alpha, Macondo and many others. An effective LFI process will use multiple opportunities for learning to optimise changes that lead to a lower risk, more stable, business environment. This publication covers the whole LFI process, from reporting and finding out about incidents, through to implementation of effective learning and resulting in changing practices. As a comprehensive resource for LFI, it provides good practice guidance for all key phases of the LFI life circle and places importance on learning in addition to accident/incident investigation. It guides the reader to understand the human and organisational factors (HOF) causes of an incident through appropriate investigation approaches. 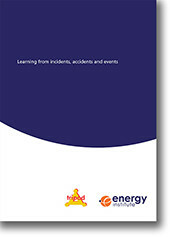 This publication is intended for use by a broad audience, including: incident investigators; LFI coordinators; those who commission an investigation; line managers; designers; consultants; training professionals; knowledge management professionals, and incident investigation and safety researchers.